Porsche is the ultimate in automotive performance. Renowned the world over for the way our drivers connect to the roads they travel, Porsche has a long history of innovation unlike any other. Porsche is high-functioning design that exceeds performance expectations in every model. 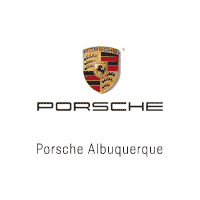 At Porsche Albuquerque, we retain the best-certified sales professionals, the most highly trained service technicians in the industry, and a passionate commitment to customer care. We value our relationships with our customers and welcome you to visit the dealership. Located just off I-25 at 8900 Pan American Frwy NE, we look forward to seeing you soon. Recently purchased a Honda CRV that was taken in as a trade . Our sales person was CJ Giron, this was a very pleasant car buying experience compared to prior car purchases. Everyone was polite, no pressure as we negotiated a purchase price. After searching for many months, I finally found the exact car I wanted at Audi, Mercedes-Benz and Porsche of Albuquerque . CJ could not have been more professional, honest, and helpful! CJ helped me through the purchase process, never making me feel pressured. He also greatly assisted in answering questions on logistics as I needed the car in Colorado! Thank you CJ!! I absolutely LOVE my new car! Love my new Cayenne. CJ did an awesome job and even brought me in for a second delivery!